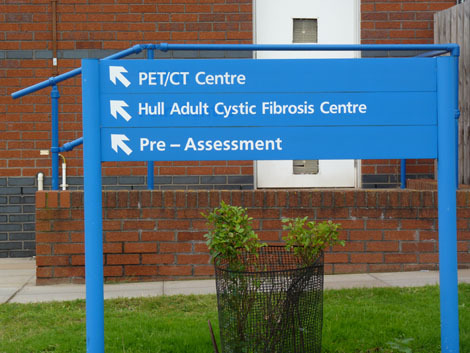 The Hull Adult Cystic Fibrosis Centre is located on the 1st floor of the Pre-Assessment Building, Entrance 2, Castle Hill Hospital. There is ample parking close to the centre, i.e. 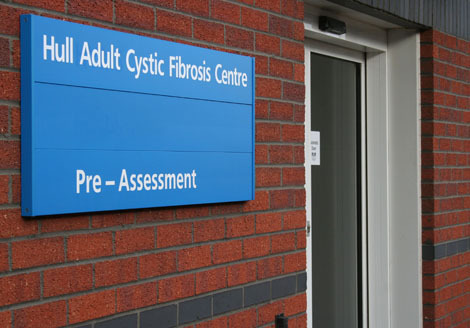 immediately on the left as you enter the site, and also some limited disabled parking in the small car park in front of the Pre-Assessment Building.